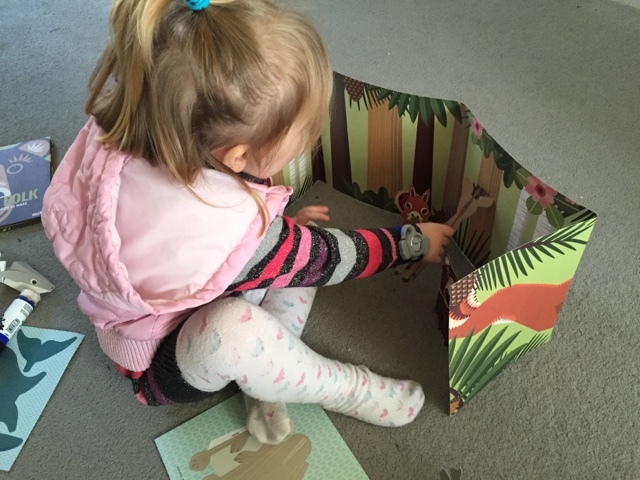 Last year my girls and I had fun review The Polar Pack book from Mibo. 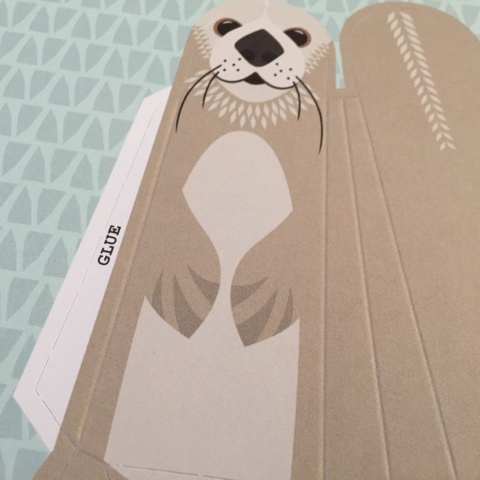 This was a book that wasn't just a story, it included pop out animals to make, bringing the story to life. This particular book was part of an ongoing series which has continued to expand since. 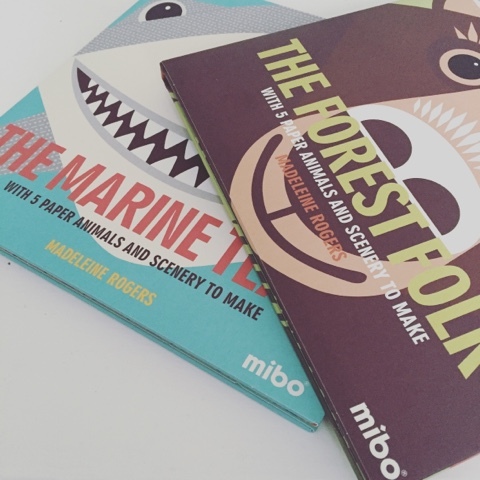 We were recently sent two more of these fantastic books to have a play with, The Marine Team and The Forest Folk. The books are still the same. 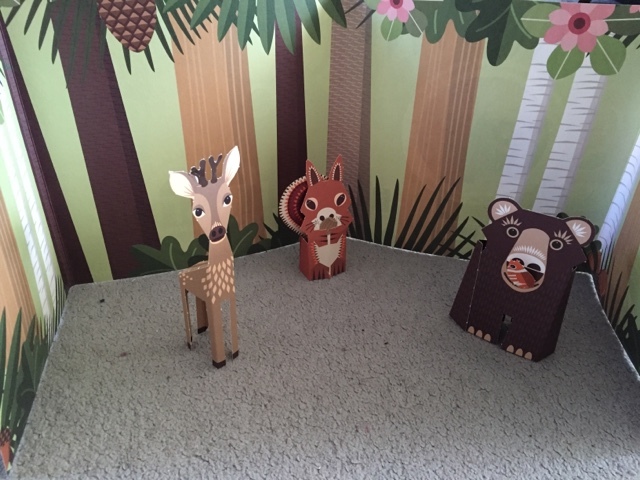 Lovely hardcover books with covers that double up as scenery for the animals you are able to create. Gorgeous illustrations, bold print and lots to be discovered on every turn of page. They are books that you can look at again and again without becoming bored. These books have several learning points. Different animals to be found and you get to find out all about the various environments they live in. 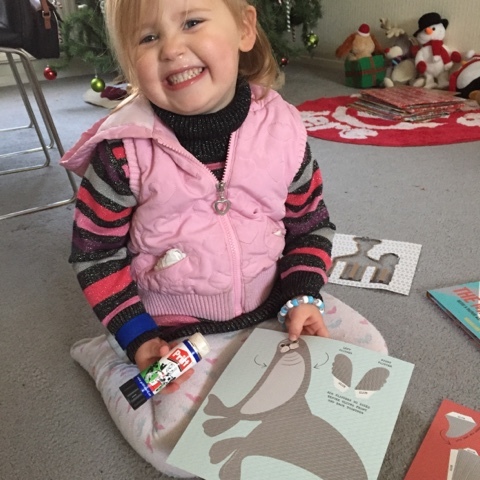 Older children can read the words in front of them whilst younger children can enjoy the images and take time pointing out backgrounds, objects etc. Then there is the creative element, cutting, gluing and of course getting to grips with the idea of things being 3D. What is fantastic is that when you have more than one of these books your children can combine them all. Layla had fun letting the marine animals play and talk with those forest folk, changing the backdrop behind them, going from the blue waters to the green woods. 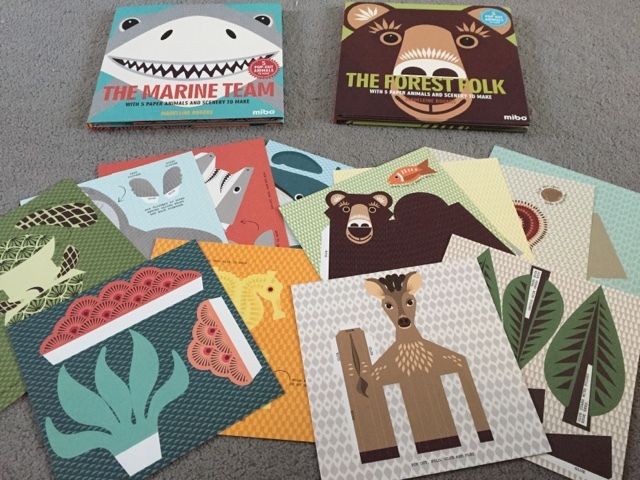 The concept of these books is simple and yet they manage to provide hours of entertainment. Appealing to a wide age range of children in varying ways. Whether they like to read, get creative or just observe, I believe all kids will gain something from this series. Disclaimer : I was sent these books FOC however all thoughts and opinions are my own. That looks like great fun! My daughter is a bit old for it, but I think my niece would love it in a year or so (when she can be trusted not to destroy it). These look awesome but too nice to cut up! 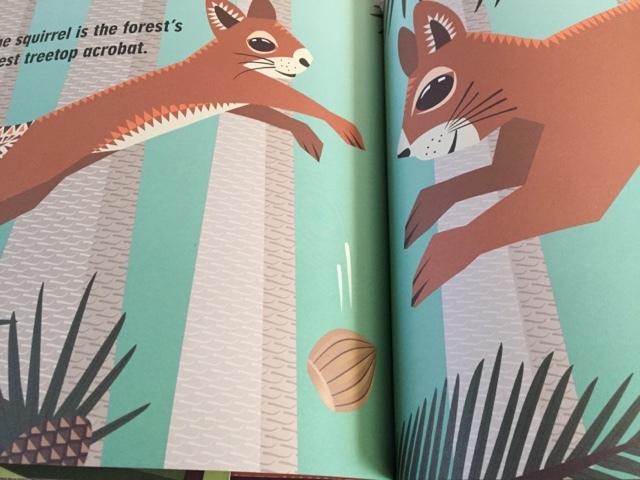 I am in love with those illustrations!